Okay guys, i’ll just put the download link here. Since i won’t update this blog again except for something like this. Please enjoy Momoiro Clover 2nd Single – Pinky Jones’ PV. 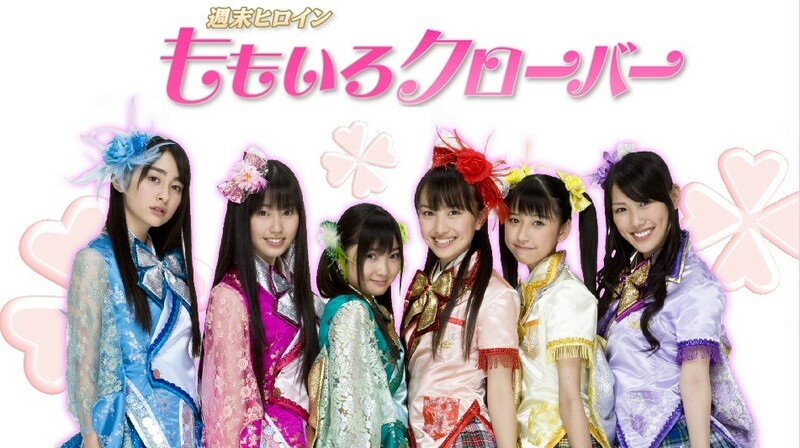 Momoclo will release their first major single on 5th may this year. And if their going major then they must be under a label. So, last week i’m pretty curious about what label they’re under. And i found they profile page in Universal Music Japan. Wow! As far as i know, Universal Music Japan is the 2nd largest recording company after Sony Music Entertainment Japan (cmiiw) and still far larger than known Avex. According to their page in Universal Music Japan, they first debut single will release in 7 different types, 6 limited edition which is each of them will have single face cover from each momoclo’s member and one regular edition. All of them are including regular version will be sell at 1000¥ flat. This can be a real genius market strategy or just a crazy one, because at least a single fan minimum will buy two different type, regular + 1 limited ed from his/her favorite member and that will count as two sales. Imagine if at least they have 1000 ‘crazy enough’ fans that will buy all that 7 types. 7000 copies! this amount are large enough to penetrate top 20 oricon weekly chart and that doesn’t include the other ‘regular’ fans who buy two different types and newbies who only buy regular one. Will they penetrate top 10 oricon weekly? we will see on May 2010 and that will be a war against other all-girls junior idol group newcomer that will make their debut around 2010 2nd quarter. Once upon a time, when i lurked in youtube for Erina’s “Doki! kou iu no ga koi na no?” i found a video about a very young girl covered its drum instrument greatly and of course with her own improvement. Meet our young drum princess, Kanade Sato (佐藤　奏). Yes we know that she is not the only one young drummer in this congested world, but i don’t care coz she is the first one to made impressed. If you peek her page at MySpace you’ll see a slide show photo of her since she still a baby. She already know the thing called ‘Drum set’ since baby! I don’t know if her talent show up by itself and her father realized it soon or it grow because her daddy wanted it. Wew, that reminded me to game ‘Princess Maker‘. Btw, her skills cannot to underestimated right now. She made her first live debut playing JAZZ and it’s Al Jarreau‘s Spain! WOW! She also plays duet with veteran jazz keyboardist Minoru Mukaiya. Oh yeah and that’s even more WOW! for me. A side of being skilled in drum she also very cute and adorable. You can visit her homepage here. I hope she goes major with some band and not just a regular pop / rock band but a professional jazz band. And she can rise not just only drum princess but drum queen and not just roaring in the middle of eastern islands but the whole world. Oh yeah if you want to see more of her video, go visit her youtube page here. Maaan, i love Jazz. A couple moments ago i’m pretty surprised and excited with a great news from one of our lovely idol group Momoiro Clover. They will release their first major single “Ikuze! Kaitou Shoujo” on 5th May. So, quickly i checked up their official site to check this statement and it’s true! And the other great thing is their profile picture changed. They wear new outfit that seems to be their outfit for their new single. Their new outfit divided in two separate style but basically they’re school girl uniform. The first style wear by Akari, Ayaka & Momoka, blouse with transparent sleeves and sparkling collar. The second style wear by Kanako, Shiori & Reni, school uniform made totally from nylon fabric with laced edges and sharp cut. And of course their individual head ribbons are great too. And with their preparation to move to major label, an official fansite was established. You can visit them here. In their site you can see a links to smooch, a web shopping site that mainly sold clothes and accessories, that looks like their major sponsor. A group sponsored by clothing industries? that remind me with Hangry and Angry. Ah well, may is still so far. But i can’t wait they wear that outfit in Ikuze’s music video. And hope they can advance to the top 10 in Oricon Chart and even top 5, since their last single was nearly reached it at 11th position. Oh yeah, i forgot. Maybe Akari is the only one who don’t smile in the first picture above but somewhat she looks hot!